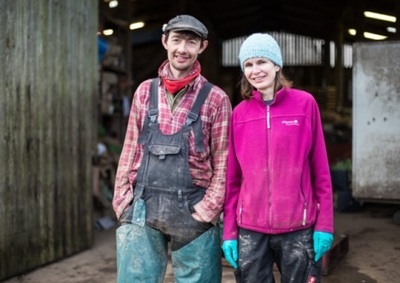 Pat Crawford, freelance writer and press and PR for Hadlow College, contacted us, wanting an interview for her monthly feature on a day in the life of a Kent based farmer. That went well, but neither of us were looking forward to having photos taken, but Manu was lovely and very relaxed. Here's the article and hopefully, we'll get more of the photos soon.